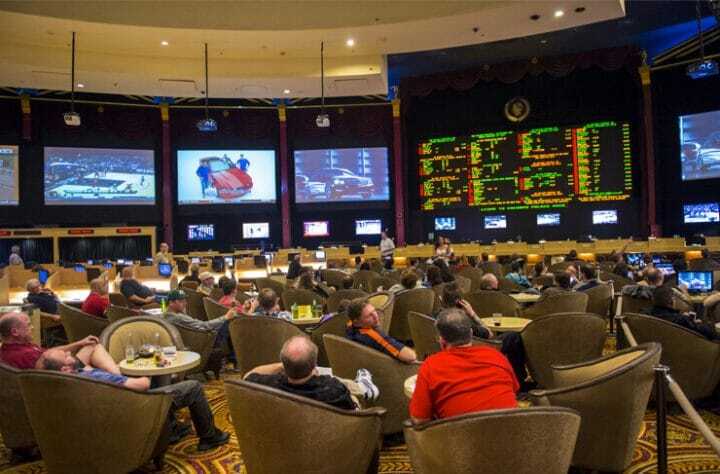 The American sports betting market is exploding thanks to a mid-May Supreme Court ruling that struck down a federal ban. The emerging market could reach $18.7 billion in annual revenue based on nationwide adoption and tax rates that are favorable to the industry. Revenue is winnings for the sportsbooks. However, they don’t always win. Nevada, home to the nation’s only mature sports betting market, last saw its sportsbooks lose over a single month back in July 2013 (down $548,000). It’s been more than five years since that happened, and the Silver State just set a new monthly revenue record with $56.3 million in September. The growth of the market has reduced the chances of another losing month. Still, it’s not impossible, according to a manager at one of Las Vegas’ top sportsbooks. The books lost nearly $900,000 on “other” sporting events during July 2013. The “other” category on Nevada gaming revenue reports includes all sports other than football, basketball, and baseball, and does not include parlays. Going into the 2013 British Open golf tournament, Las Vegas sportsbooks pegged Phil Mickelson as a 25/1 long shot to win, while Tiger Woods had the best odds of 8/1 against the field. At 43 years of age, Mickelson began the final round five strokes back from the leader and sitting in a tie for ninth place. He reportedly was 12/1 against the field before the final round. He shot a final round of 66 (-5) to win the championship. While it’s unknown exactly how much Mickelson’s win cost the books, it definitely stung. Nevada books were in the black $83,000 from the “other” category in July 2012, and they won $2.6 million there in June 2013. So, the (non) winnings in July 2013 were off significantly in year-over-year and month-over-month comparisons. The more than 170 Silver State sportsbooks were in the red $2.8 million from basketball bets on July’s revenue report, after the NBA season ended on June 20 with the Miami Heat claiming their second-straight title. Despite going to seven games in their Eastern Conference Finals series against the Indiana Pacers, the Heat were favorites over the San Antonio Spurs, who swept the Memphis Grizzlies in their series. However, it was Game 6 of the finals that apparently cost the books some money. The Spurs were up 94-89 with 28 seconds left. According to the Las Vegas Sun, the Spurs were a popular moneyline bet at plus-290 before tipoff, but in-play wagers hurt the books. The Spurs were a minus-5,000 favorite to win the game before LeBron James and Ray Allen hit improbable three-pointers. The game went into overtime with the Heat winning 103-100. It was regarded by some as one of the craziest finals games in history. The Heat were up with less than two minutes left in regulation and reportedly were considered massive favorites to hold the lead. Osterman said Mickelson’s win hurt more than the NBA Finals, including the in-play results. “In-progress limits are set in a way so we wouldn’t get into a crazy predicament,” he said, but admitted that a streak of very poor in-play outcomes could impact a month’s bottom line. As for Game 7, there were more wagers on the contest than on any other basketball game in three years, the Sun reported. The ideal scenario for the books reportedly was the Heat winning, but not covering the spread of six points. They won by seven points, 95-88. James was favored to win Finals MVP, and he didn’t disappoint those who bet on him. The industry won $3.3 million on basketball bets on June 2013’s revenue report, which included NBA games other than the finals. It’s impossible to know the revenue from the finals alone. From May 1 to July 31, the books retained $2.3 million from basketball bets, down more than 38% compared to the same period in 2012. The books reported $3.1 million in July revenue from Major League Baseball games. However, the winnings were down 56% year-over-year. The hold percentage was just 2.4%, significantly lower than the 3.7% baseball hold over the prior 12 months. The summer of 2013 was poor overall for the books’ baseball bets. Revenue of $29 million for the year was down 3.6% compared to 2012 baseball winnings. Baseball trailed both football and basketball revenue for the calendar year, as has been the case every year since 1997, when baseball sports betting hold was slightly more than basketball. The answer is yes, but the odds are diminishing, according to Osterman. The sports betting market in Nevada has never been larger, both in terms of handle and revenue. Over the most recently completed 12-month period for the books, they reported winnings of $275.6 million, about 62% more than winnings of $170 million in 2012. Calendar year 2013 had $202.8 million. The larger the market becomes across all sports, the better chances the books have of coming out in the black. Nevada sportsbooks currently take about 40% more in handle than they did in 2012-’13. The most likely scenario for a loss would happen in the event they lose money on a hugely popular game or match. Nevada’s books last loss on the Super Bowl (in the red $2.5 million) was in 2008 when the New York Giants upset the New England Patriots 17-14. That one game helped propel the books to a $6.7 million overall loss in February 2008. Aside from the Super Bowl, a combat sports event could do it. According to Osterman, the books could have been in trouble had the UFC’s Conor McGregor knocked out Floyd Mayweather in their August 2017 boxing bout. “It’s hard to say if that would have affected our entire month,” he said. Anytime you have a huge disparity in odds on a popular fight you get a flood of $50-$100 bets on the underdog, he added. “It was almost impossible not to have a huge negative liability with all of the small tickets on McGregor,” he said. Would a losing month hurt NJ? New Jersey is the second-largest sports betting market in the country, aided by its proliferation of online sports betting, taking in nearly $190 million in bets last month. The industry is only about four months old. A losing month is much more likely in the Garden State than in Nevada. However, would the state care? Former New Jersey State Senator Ray Lesniak, who played a key role in Atlantic City going online and winning the fight for sports betting, told US Bets that he doesn’t care if the books have a losing month. In fact, he said he had never even thought about it until US Bets brought it up to him. Lesniak explained that sports betting is helping Atlantic City recover in terms of visitation, and that’s the real benefit from sports betting. The revenue generated at the books themselves is just icing on the cake. Lesniak brushed off the potential of any public relations effect from the books having a losing month. In other words, he doesn’t think the handle will grow based off bettors seeing headlines that the books lost.